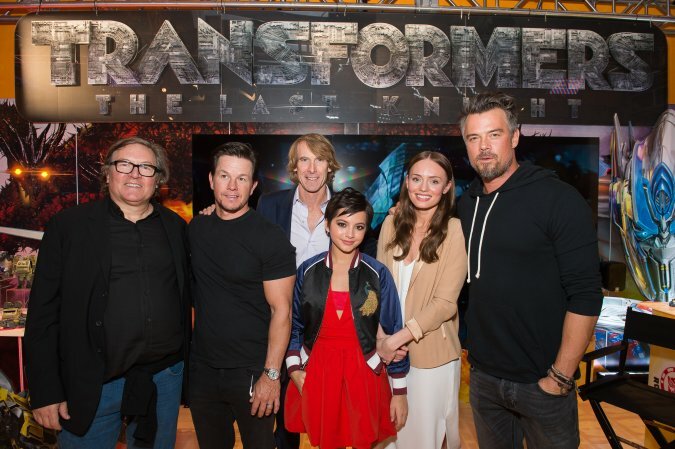 Transformers: The Last Knight stars Mark Wahlberg, Josh Duhamel, Isabela Moner, Laura Haddock, director Michael Bay and producer Lorenzo di Bonaventura joined Hasbro’s Entertainment Preview Event on Monday, February 20, 2017 during New York Toy Fair. They were able to get a sneak peek of all the new movie-themed figures which are set to release later this year. 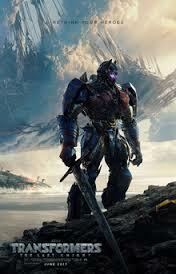 Transformers: The Last Knight is coming out in theaters on June 23, 2017. Hasbro was kind enough to share some of their photos of this encounter with us. See below for photos and captions from the event. TRANSFORMERS: THE LAST KNIGHT producer Lorenzo di Bonaventura (L) is joined by film stars Mark Wahlberg, Isabela Moner, Laura Haddock, Josh Duhamel and Director Michael Bay (rear) at the Hasbro Entertainment Preview Event, Monday, February 20, 2017 in New York City. 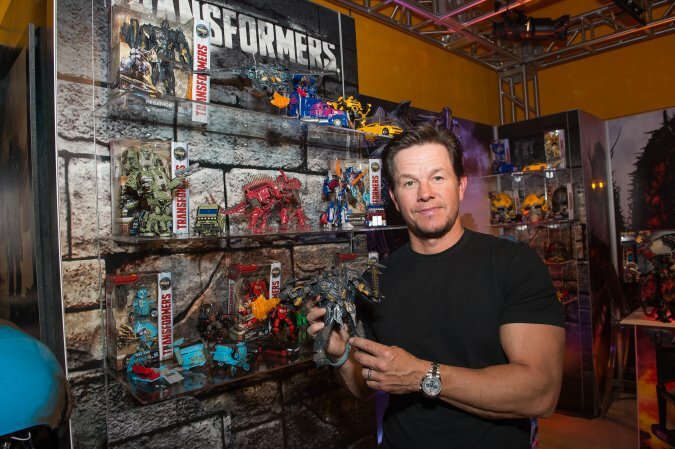 TRANSFORMERS: THE LAST KNIGHT star Mark Wahlberg holds TRANSFORMERS: THE LAST NIGHT PREMIER EDITION LEADER CLASS MEGATRON at the Hasbro Entertainment Preview Event, Monday, February 20, 2017 in New York City. Inspired by the movie, the 9-inch figure will be available this fall. 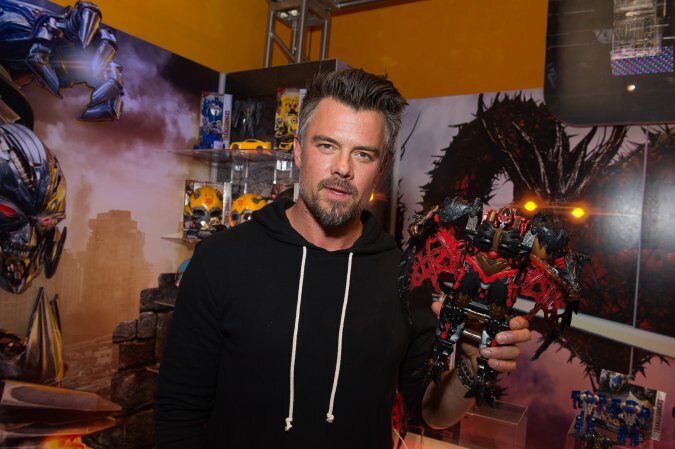 TRANSFORMERS: THE LAST KNIGHT star Josh Duhamel holds Mega 1-Step Turbo Changer Dragonstorm figure at the Hasbro Entertainment Preview Event, Monday, February 20, 2017 in New York City. Inspired by the upcoming movie, the Dragonstorm figure features premium detailing and movie-inspired effects and will be available in fall. TRANSFORMERS: THE LAST KNIGHT star Isabela Moner plays with TRANSFORMERS: THE LAST KNIGHT RC AUTOBOT SQWEEKS at the Hasbro Entertainment Preview Event Monday, February 20, 2017 in New York City. Inspired by a new character from the film, the remote controlled bot will be available this spring. 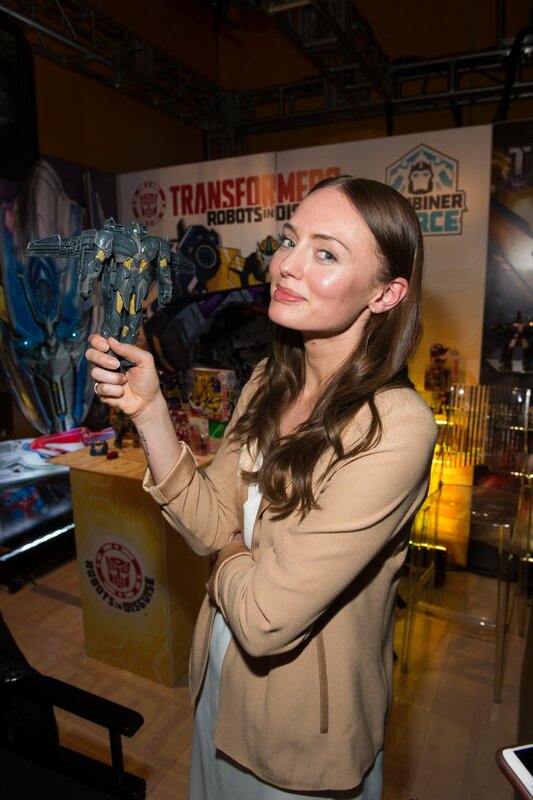 TRANSFORMERS: THE LAST KNIGHT star Laura Haddock holds TRANSFORMERS: THE LAST KNIGHT – KNIGHT ARMOUR TURBO CHANGER MEGATRON figure at the Hasbro Entertainment Preview Event, Monday, February 20, 2017 in New York City. Inspired by the film, this figure will be available this spring. Stay tuned to PopCult for more Toy Fair news!